The coffee is Bourbon and Caturra varieties. is grown in an area known as the Golden Triangle because of its rich soil. The GT is a critical area, it recharges aquifers and rivers, is known for some of Nicaragua’s richest agricultural land, and also serves as a biological channel for many tropical birds. The coffee is shaded by a large variety of shade and fruit trees. 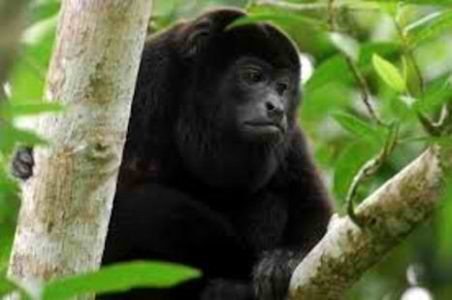 These trees provide habitat for fauna like howler monkeys. The coffee is grown at approximately 1,500 to 1,600 feet above sea level. Through our partnership with Gold Mountain Coffee, Compas de Nicaragua is able to ship Howling Monkey Coffee directly to the U.S. Direct trade allows the coffee to be shipped from the coffee farm directly to the customer, providing a just price to farmers for thier coffee.